My first trip to Augusta National was in March of 1967. At the time, I was a “Cow” (sophomore) at The U.S. Military Academy at West Point, N.Y. I was a member of the golf team that traveled to Augusta, Georgia on spring break that year. Our team “officer representative” was the son of the commanding general at Fort Gordon, Georgia. As such, the general was afforded an honorary membership at nearby Augusta National. After a few well-placed phone calls, the team was cordially invited to play the revered course. Back then The Masters was no where near the big deal it is today. Nevertheless, it was a thrilling time for myself and my teammates. We practiced for three days at Augusta Country Club which is a stone’s throw from Augusta National. On the final day of our trip, we drove up Magnolia Lane ready to play. 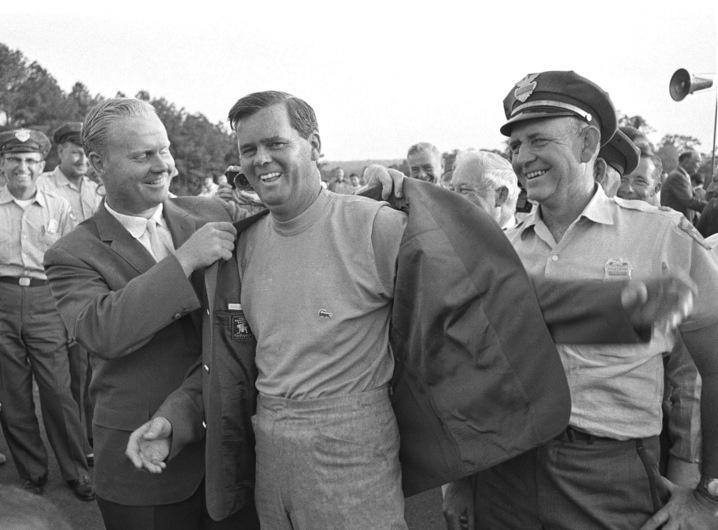 This was just a few weeks prior to the 1967 Masters won by Gay Brewer. Each member of the Army team played with an Augusta National member. Fifty-two years later, I don’t remember much about how I played. We were all in awe of the golf course. I do remember the member I played with resembled the rotund Jackie Gleason, but nevertheless, played great golf. I also recall our caddies carrying small bags containing a mixture of fertilizer and dirt that they used to fill divots. I’ve never seen that before or since. Back in the mid sixties, the only holes televised were 15 through 18. Seeing the rest of the course was eye opening. Surrounded by blooming azaleas, pristine fairways and dramatically sloping greens, the course is a beautiful beast. You cannot appreciate the course’s massive elevation changes watching on TV. For example, the 10th fairway could double as a ski slope if it ever snowed in Georgia. My only regret is that I didn’t appreciate at the time how special it was to play Augusta National. As a 20-year-old cadet, just escaping the cold gray walls of West Point for a few days was thrill enough. Playing one of the world’s most coveted golf courses was just icing on my cake. I’ve attended The Masters several times since. In 1985, I worked the tournament as a sales rep for Golf World Magazine. That was the year Bernhard Langer won for the first time. In 1995, a golfing buddy scored badges for Saturday and Sunday. That year Ben Crenshaw won his second Masters with a little heavenly inspiration from his dearly departed coach, Harvey Penick. In 2005 and again in 2016, I worked the tournament as a temporary employee for minimum wage. The money didn’t matter. Being at The Masters again is what mattered! The vetting process to get approved for employment was amazing including references and a background check. 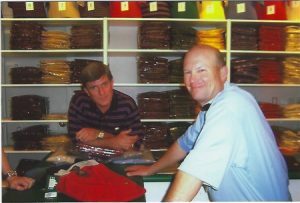 My job both years was to sell golf shirts to the thousands of patrons who descended on the Masters Pro Shops during tournament week. The Masters logo adorning these shirts made them practically priceless. No doubt about it, merchandise sales is a major revenue producer at golf’s most celebrated Major Championship. The work was fun but exhausting…12- to 14-hour days when there were rain delays on the course. These days I much prefer to watch the proceedings from the comfort of my couch with beer in hand with chips and salsa on the coffee table.